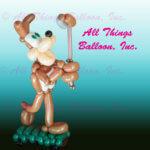 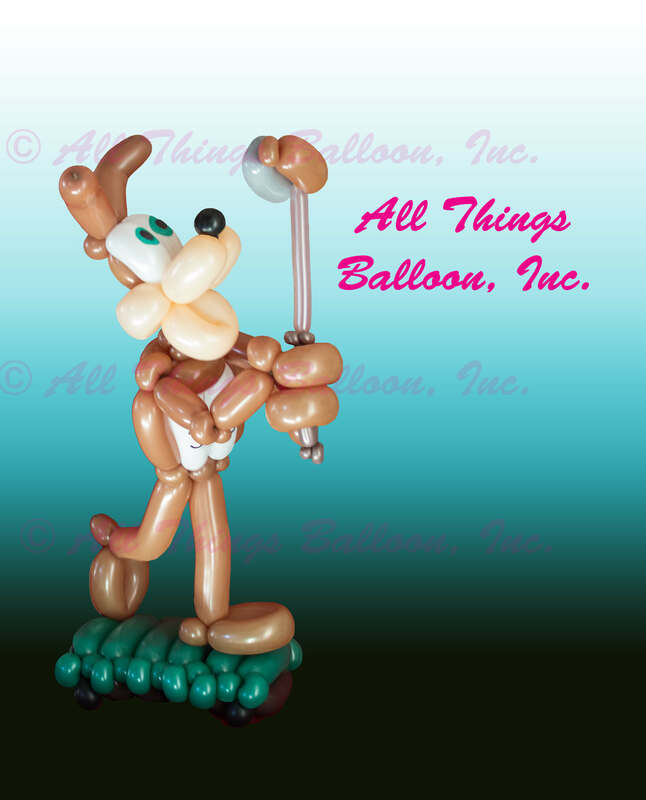 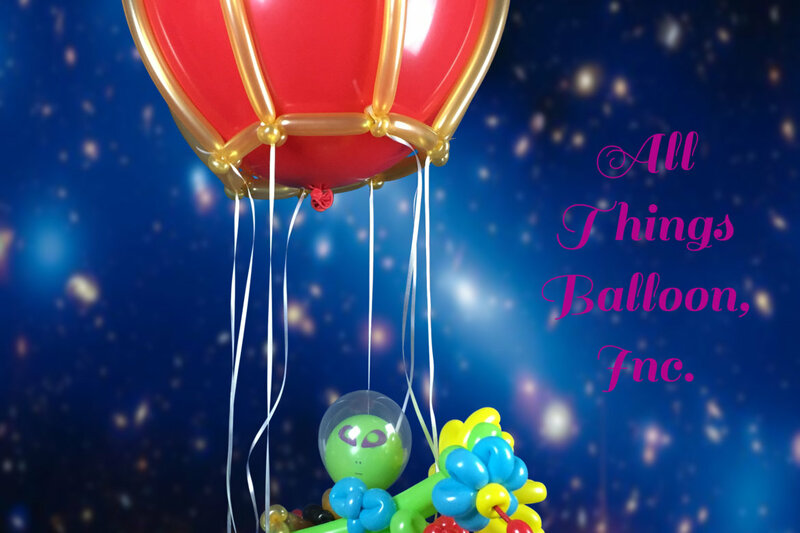 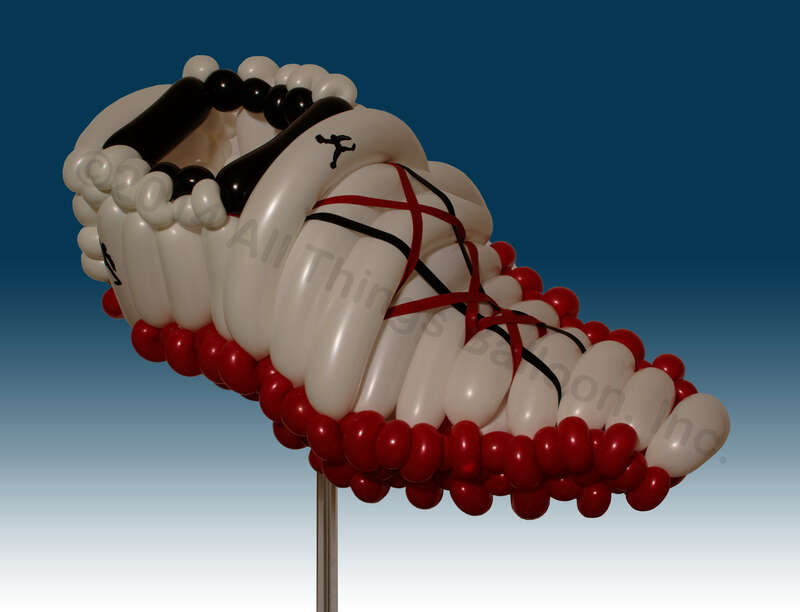 Unusual Requests for balloon creations | All Things Balloon! 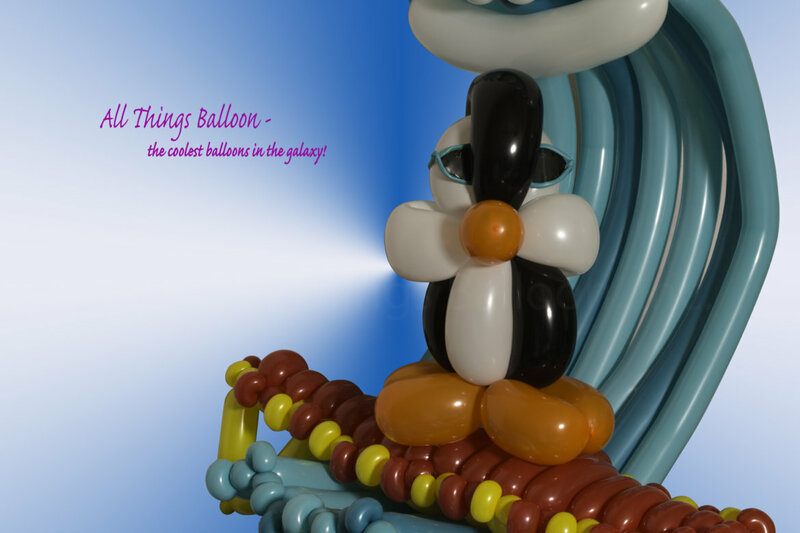 We can usually pull something out of the hat that will at least compliment the theme; however, we are occasionally challenged to come up with somehting really unique for the event. 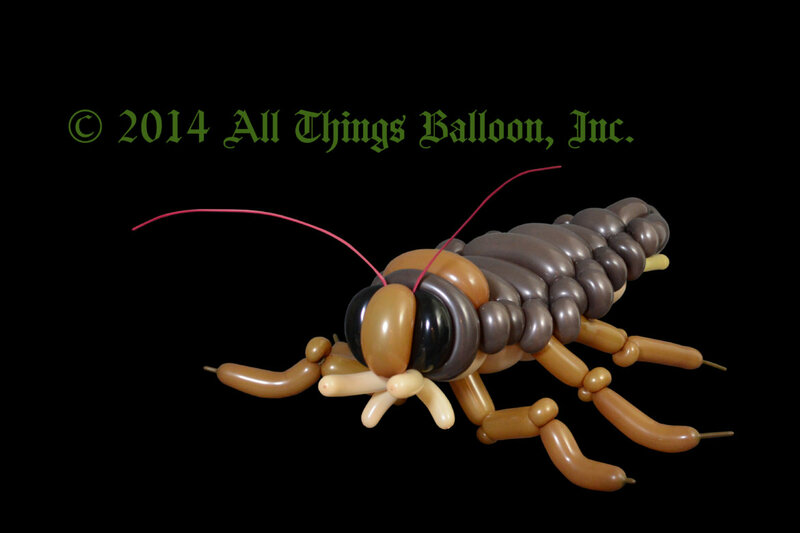 Here are just 4 examples of some of the stranger event creations we’ve had to come up with. 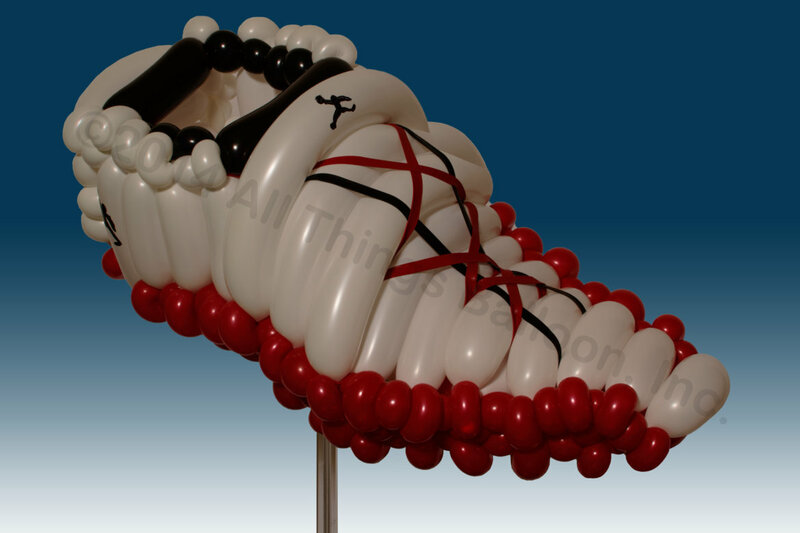 First, not toooooo unusual – a sized 26 Air Jordan shoe. 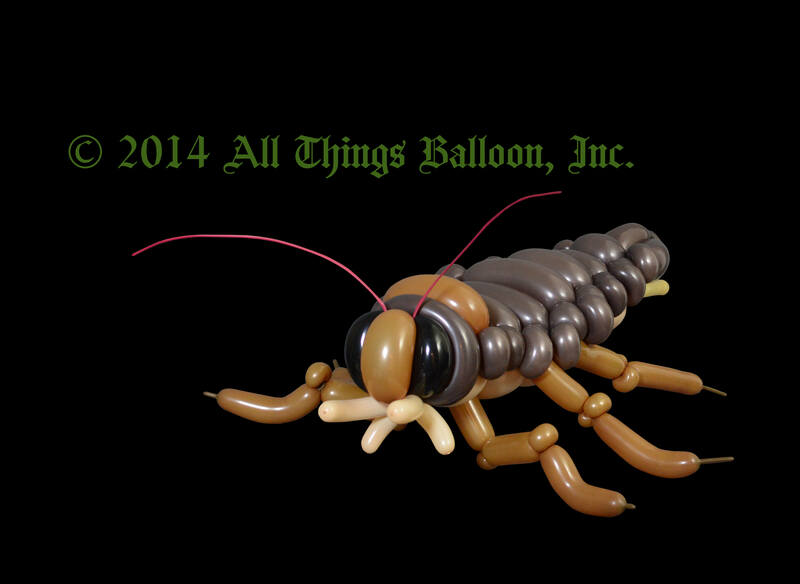 Next, the birthday kid really LOVES — cockroaches?! 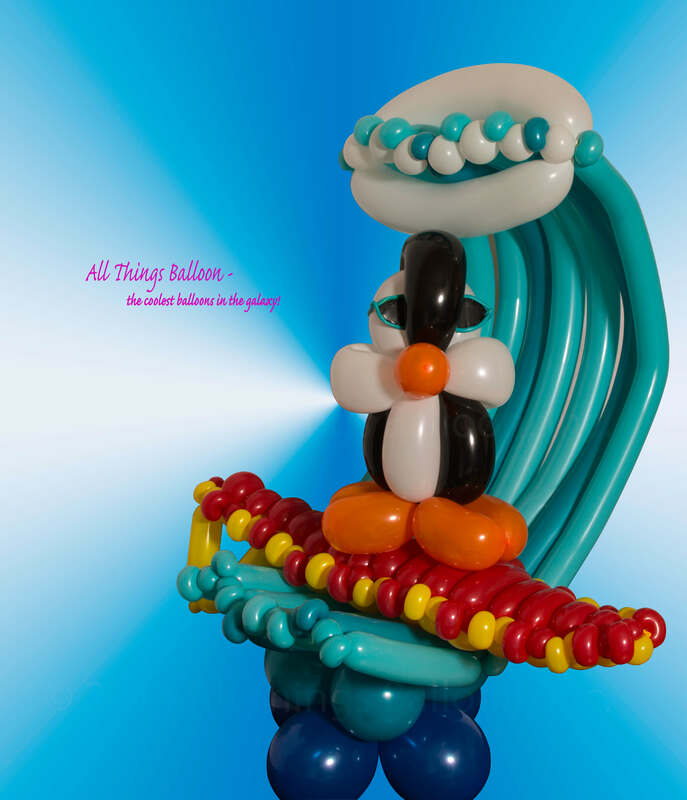 Then we had a very specific request from a soon-to-be 4 year old “A Penguin wearing sunglasses on a surfboard catching s big wave” – I think we nailed this one.. 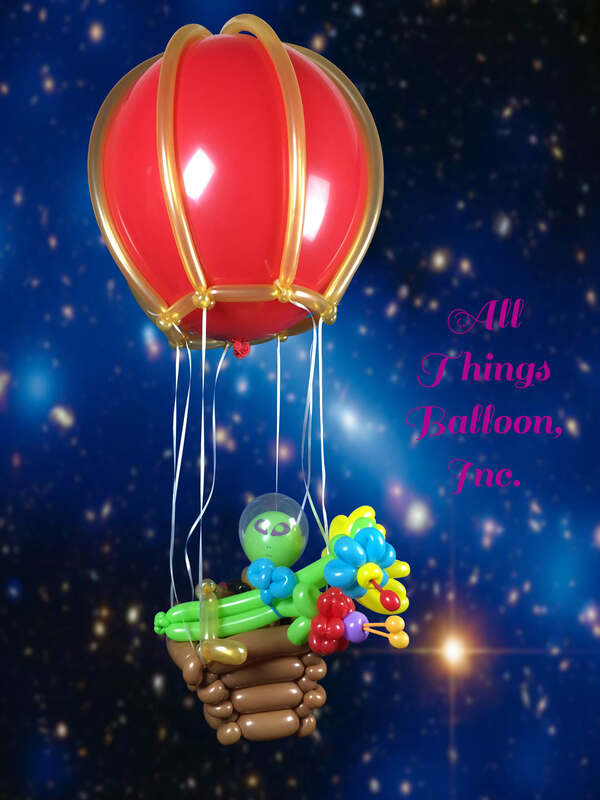 Finally, we needed to build something for the person who “likes flying hot air balloons, and has some sort of alien encounter” thingy in their past.